We are rolling out our Phase 1 for our Universal Kinetic Park at Fircrest. 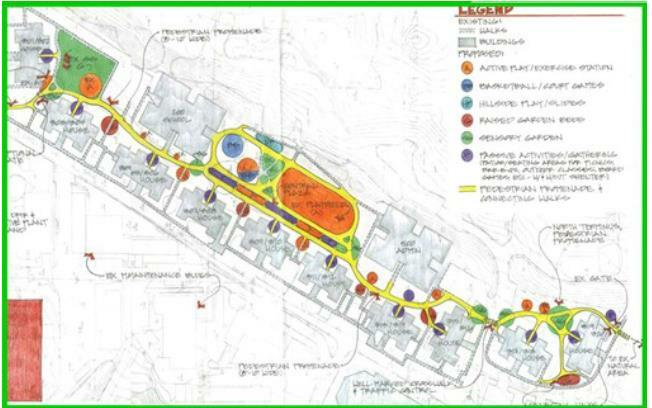 Phase 1 will be the survey, detailed construction design for the Pedestrian Promenade – the backbone and community connection for the whole campus. 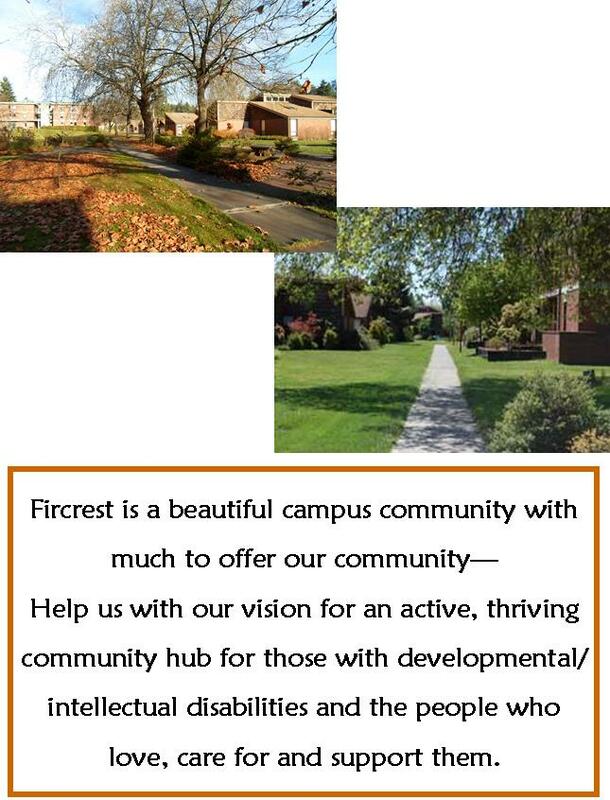 Fircrest is a beautiful campus community which is home to over 200 people with intellectual and developmental disabilities. In addition to our long term residents, we also provide short term and respite care for others from the surrounding community. Help us with our vision for an active, thriving community hub for our residents, the people who love and care for them and for the local community. We can only do this with your support! 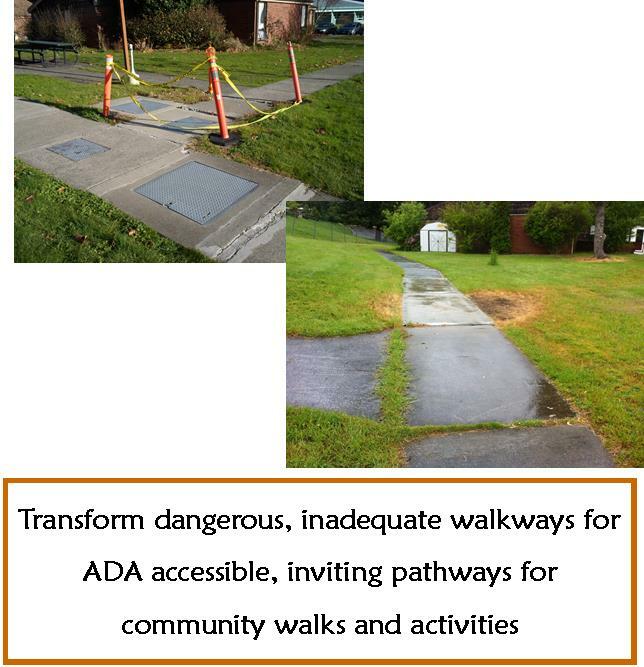 Help us transform the narrow, cracked, uneven sidewalks left over from the old Seattle Naval Hospital to a wide, smooth and ADA accessible Pedestrian Promenade. The Pedestrian Promenade will be a winding walkway, inviting people to enjoy walking and the sights and activities along the way. In addition to the community connections of the Pedestrian Promenade, we will also pave walkways from the main corridor to the entrances of each home. Currently, this is a muddy path with puddles for the majority of our year in Seattle. 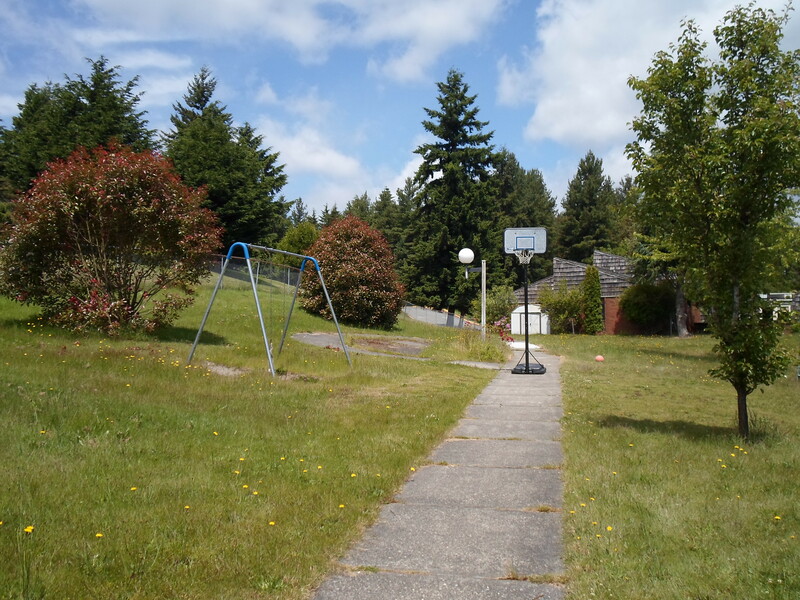 As you can see Fircrest is a beautiful campus – but it does not have ADA accessible walkways even though it is home to over 200 residents with intellectual and developmental disabilities. The sidewalks pictured below are hazards. We need to remedy the situation. All donations go directly to the cause – no overhead! You know your dollars will go to a great cause. We are on our way to major improvements for health, safety and community spirit building! 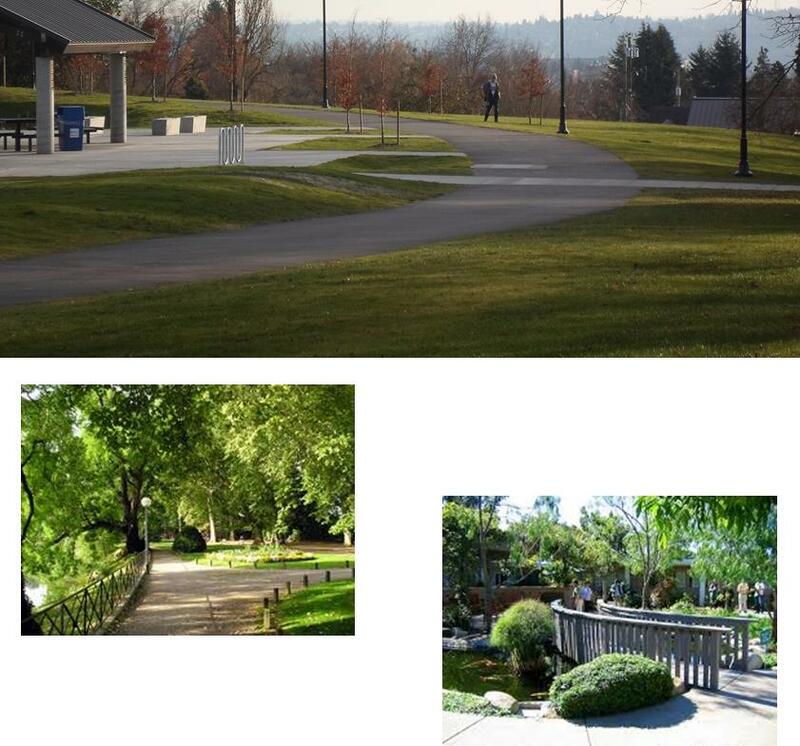 Our Campus Community is in great need of safe, ADA walkways.The campus is a beautiful setting and home to many of our loved ones with intellectual/developmental disabilities complicated by complex medical and/or behavioral concerns. The sidewalks are left over from the 1940’s when this property was used for the Seattle Naval Hospital. The walkways are too narrow for 2 people to walk side by side and are dangerous for those who need assistance with mobility. There are many cracks, holes and uneven areas. Much has been spent on grinding surfaces over the years but this is only a band-aid “fix” to the problem of dangerous, non ADA compliant walkways. 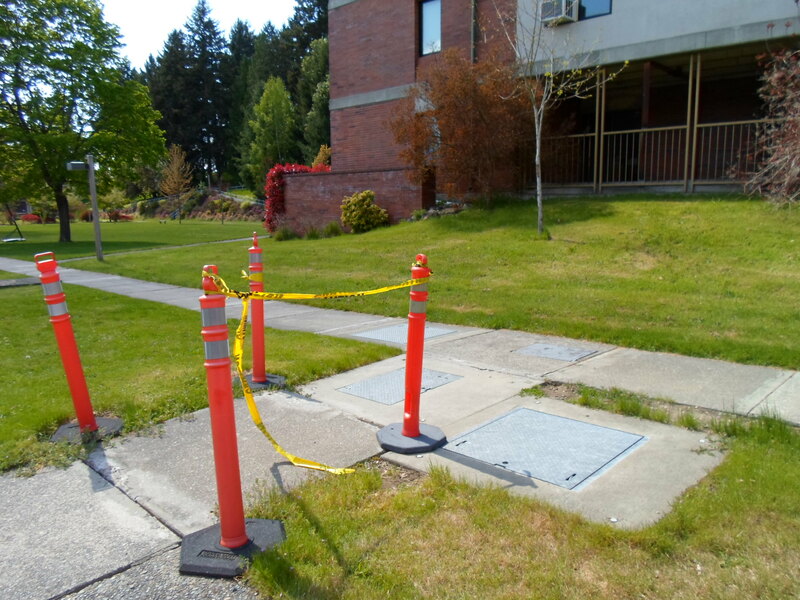 Given that this community is a community of people with disabilities, it is time that we supported the construction of ADA accommodations in the walkways on campus. Adding a pedestrian promenade will greatly enhance the life experience of our residents – we see it as a community connector and will be an invitation for them to get outside, walk, enjoy the sites and company of others and build community. Please help us fund the survey and design for this much needed walkway. We are building our design team. 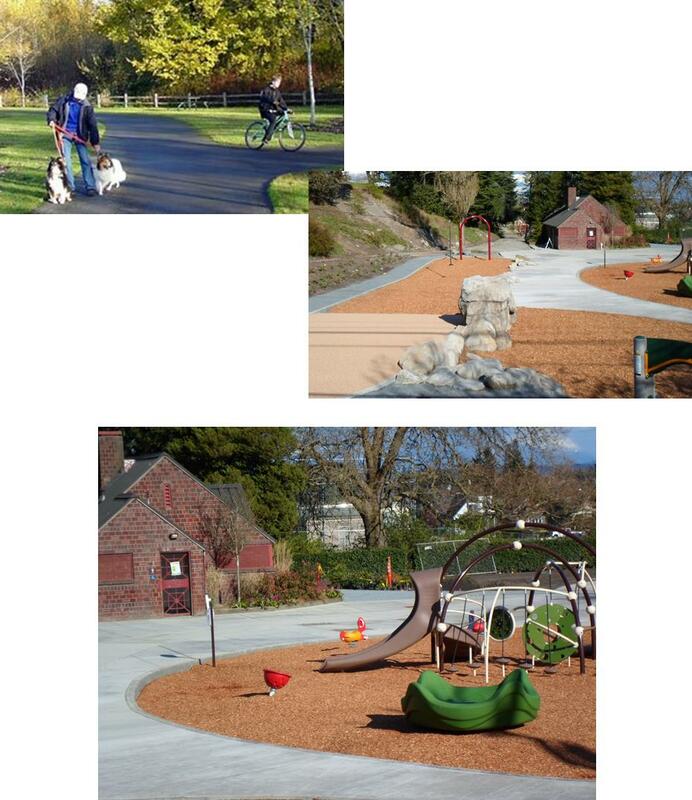 Peggy Gaynor of GAYNOR, Inc. is providing landscape architectural design & consulting services on behalf of the project. As soon as we have chosen our surveyor and/or civil engineer, we will publish their names as part of the professional design team also.